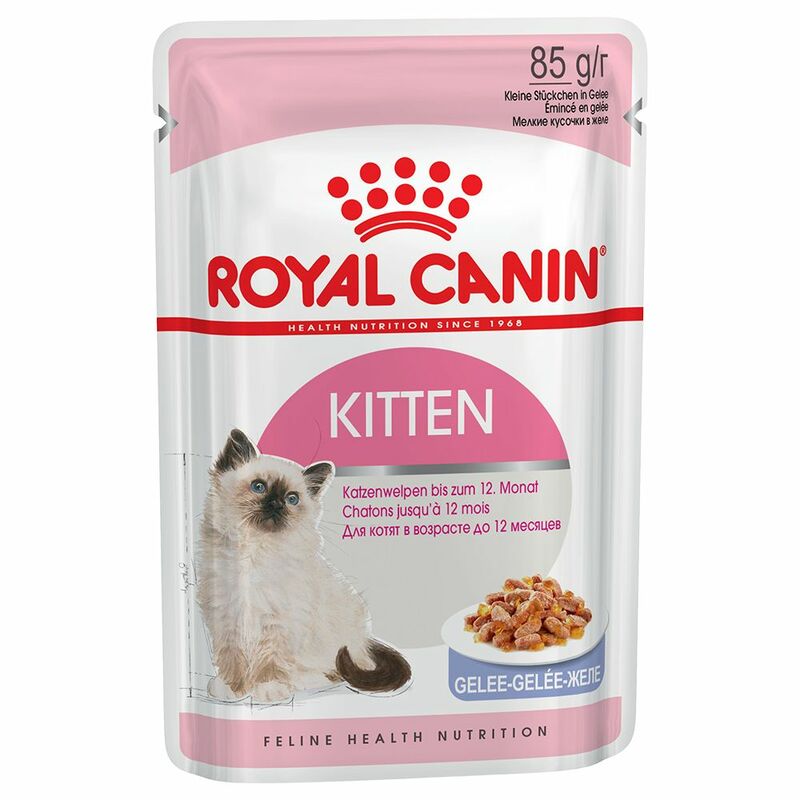 Royal Canin believes that a cat's diet should take into account all the parameters of life, such as age, physiology, breed, life style as well as the individual circumstances. Royal Canin Kitten Instinctive provides a healthy diet based on Royal Canin's commitment to the highest quality. This food is based on the Macro Nutrient Profile instinctively preferred by kittens during the second growth phase (4 to 12 months). Royal Canin Kitten Instinctive is also suitable for lactating queens. Royal Canin Kitten Instinctive cat food is made to a formula specifically developed for kittens in their 2nd growth phase (4 to 12 months), when growth has slowed down. Young cats prefer a specific nutrient profile and Royal Canin Kitten Instinctive is based on the Macro Nutrient Profile which kittens in their 2nd growth phase intuitively choose. This helps to encourage a long-term acceptance, since no matter how healthy the food is, if your cat doesn't like it and won't eat, it won't do your cat much good. During the 2nd growth phase your kitten's bone structure gets stronger. Your pet will still have high energy requirements but they are not as high as during the initial growth phase. Royal Canin Kitten Instinctive provides a healthy diet with all the neceΒary nutrients to help keep your kitten lively and in the best of health. During the 2nd phase your kitten's immune system stabilises, but its general resistance is still not fully developed. Royal Canin Kitten Instinctive contains mannan-oligosaccharides and a complex of antioxidants (vitamin E, vitamin C, taurine and lutein) all of which help to improve the natural defences and promote healthy antibodies. Royal Canin Kitten Instinctive wet food contains juicy chunks in appetising jelly. During this growth phase your young cat will develop its permanent teeth and the chunks of food in Royal Canin Kitten Intensive are just the right size and texture for a young cat's jaws. The single portion pouches ensure that the food retains its full flavour and that the top quality nutrients are protected. And the pouches are convenient and easy to open. Royal Canin wet food provides your cat with a tasty and healthy balanced diet: EΒential fats and oils: Provide your cat with energy while supporting its natural defences and encouraging a healthy coat. Lots of vitamins: These provide antioxidants and can strengthen the immune system and help to keep the metabolism healthy. Minerals: Can help to maintain a healthy metabolism, as well as encouraging healthy skin and bone development. Fibre: Helps to promote good intestinal flora and a healthy digestion. Proteins: Help to support the healthy development of organs, muscle and tiΒue. High digestibility: The carefully selected ingredients give Royal Canin wet cat food a minimum protein digestibility of 90%. The Macro Nutrient Profile is based on your cat's instinctive preference: this balanced, healthy food with Macro Nutrient Profile is made to a formula suitable for your..